I can’t quite believe I’m in Iraq. Not your usual holiday destination but a fascinating experience being in a country I’ve heard so much about. 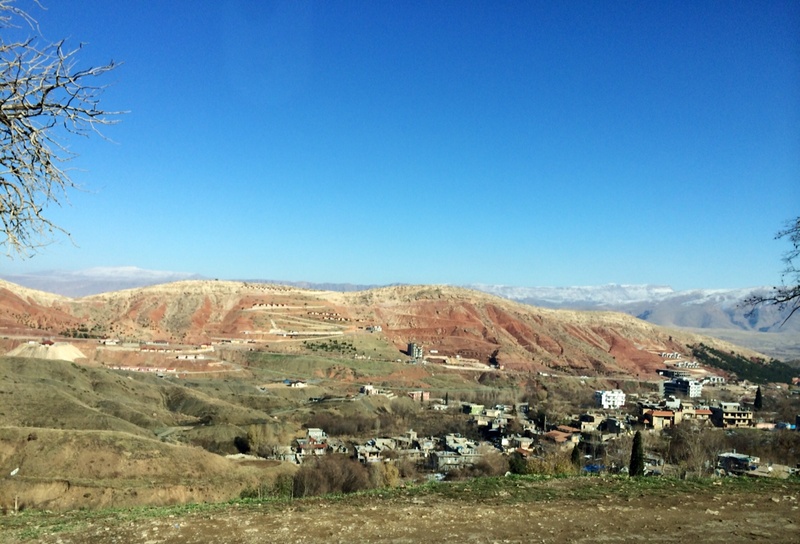 I’m visiting family, some of whom haven’t seen me since I was born there, and spending a couple of weeks exploring northern Iraq – Erbil, in the region of Kurdistan – and Kirkuk. I won’t be going to Baghdad unfortunately as security in the capital is volatile again but Kurdistan is a very different and much safer environment so nothing like a war zone. It’s been an extraordinary experience so far and nothing like I expected! 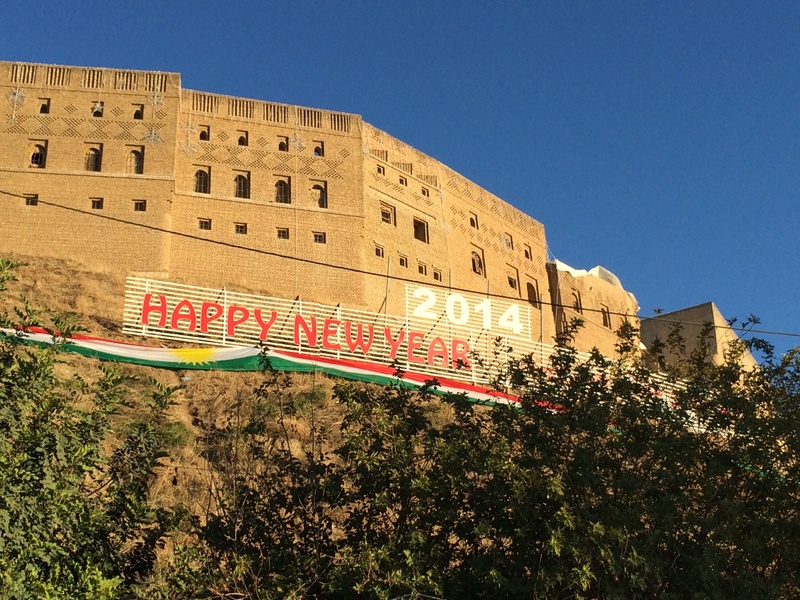 In the north of Iraq, in the semi-autonomous state of Kurdistan, Erbil has gone from a small town to a sprawling city in less than ten years. It’s a lot more developed than I thought it would be – malls, high rise apartments, land cruisers and buildings in construction everywhere! 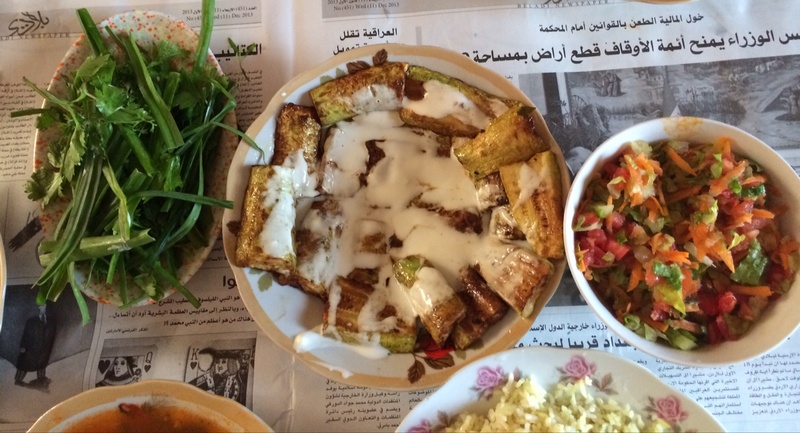 Life in Erbil seems relaxed and comfortable – I’ve heard it’s reminiscent of how Iraq used to be in the 70s: restaurants, parks, social life, shopping, work and travel. 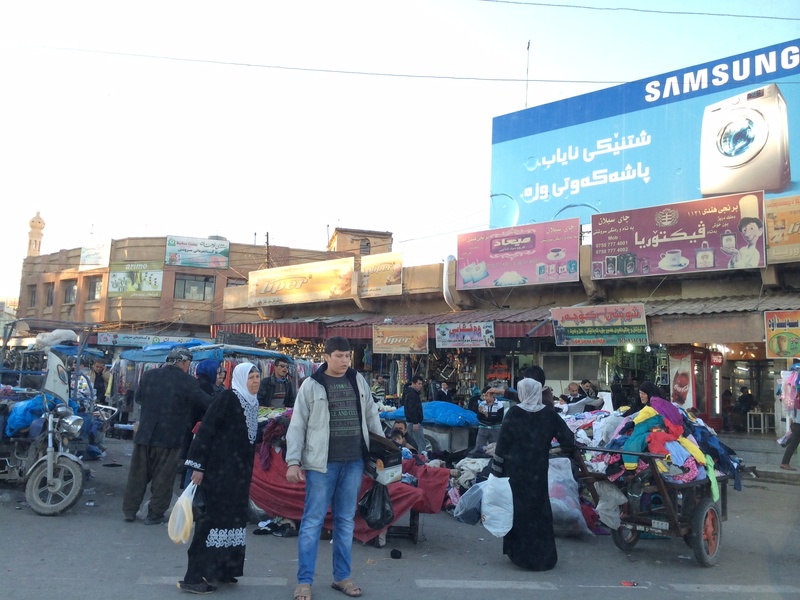 It’s very very different to the rest of Iraq so it’s more of a boom town than a bombed town. Security is tight (tailbacks to enter the city by road are long as security guards check every car entering the city) so it hasn’t suffered from the level of insurgency attacks other parts of the country have. With so much investment it’s apparently a bit like Dubai was as it was just being built, 10-15 years ago. There are many international oil companies here – nearby Kirkuk is abundant with oil as is the south of Iraq –encouraging a domino effect of investment; high rises and new villages filled with expats are dotted around, international hotels stand tall and there are countless, shiny new malls. I hate mall-life, I find it so artificial and stifling, but I made it a mission to visit as many as I could (for research purposes!) 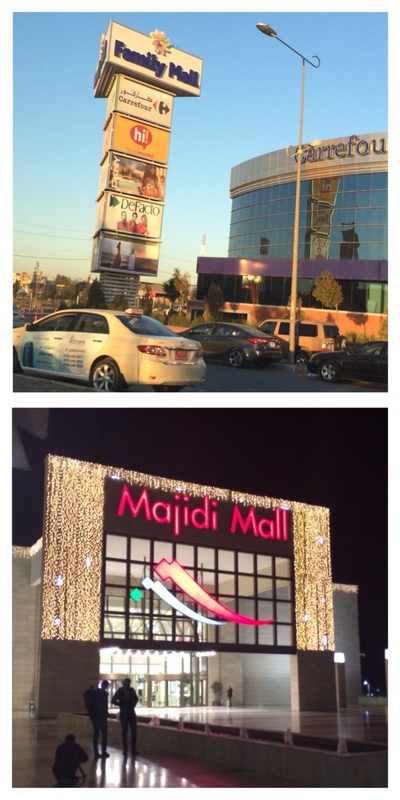 and managed four: Majidi Mall, Royal Mall and Family Mall and Mega Mall. Christmas was in full swing with festive lights and Christmas trees pulling in crowds; these malls are full of young families hanging out, perusing the floors for hours on end. 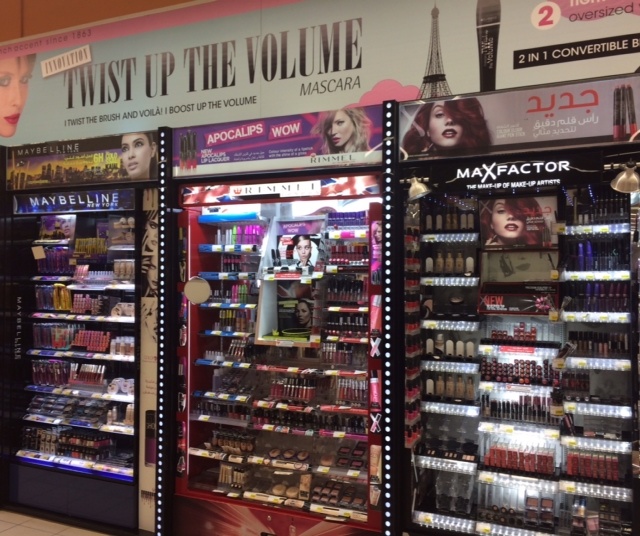 Among the string of unbranded, foreign clothes stores, I spotted a few recognisable names: Clark’s, Mango, DKNY, Levi’s, Ecco, Bourjois, Rimmel London, Max Factor, Nivea, Dove and others. There’s also a super-sized mega mall being built with a big sign on the scaffolding naming Aldo, Nine West, and others on their way. 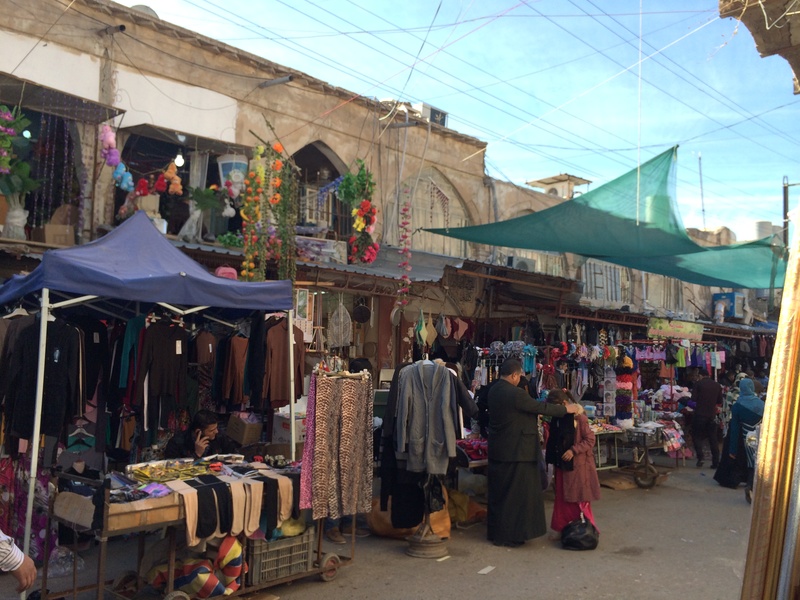 There’s an old town too: Not all of Erbil is fresh out the wrapper – like Baghdad, Erbil is one of the oldest inhabited cities in the world so there’s rich history to absorb too. By the citadel (old fortress) which dates back thousands of years (yes, this was my favourite part of town) there’s a traditional market, full of character. The citadel is currently being restored and has been listed as a Unesco historic site – Petra, eat your heart out. ‘If I were a young man, looking to make my fortune, I would be off to Iraq like a shot….I would say, go east young man, go to Kurdistan. You could make your first million, and what’s more, you won’t be taxed at 50 per cent.’ You can read the full article here. 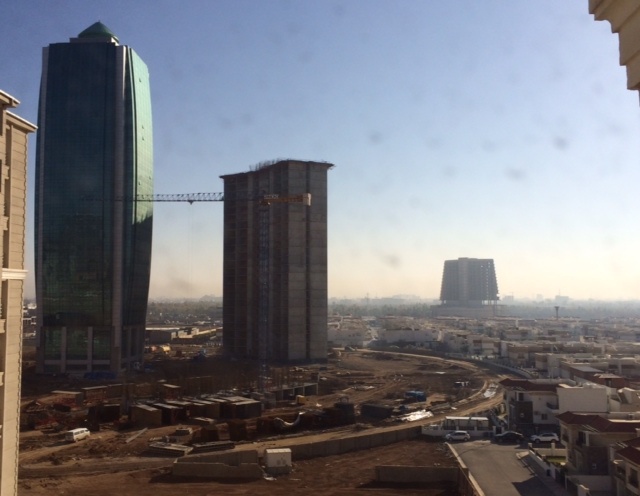 Construction, investment, business opportunities and vibrant life is on every corner – will Erbil be tomorrow’s Dubai? Let’s see! Where Erbil’s shiny good looks are attracting magpie eyes, Kirkuk is a lot older, dustier, more tired and more ravaged by effects of troubled Iraq than Erbil. Put simply, it’s seen better days. But there’s a wonderful charm and an amazing history. Some parts of the town – like ‘Khal’ah’ (which means ‘castle’ or citadel in English) where my dad grew up – date back up to 6000 years. This used to be a little village on a hill overlooking the city but Saddam tried to bulldoze it down back in the 80s and what remained was left to crumble. We walked around, took many photos and saw my dad’s old school and bit of land his house to be on. Totally fascinating! 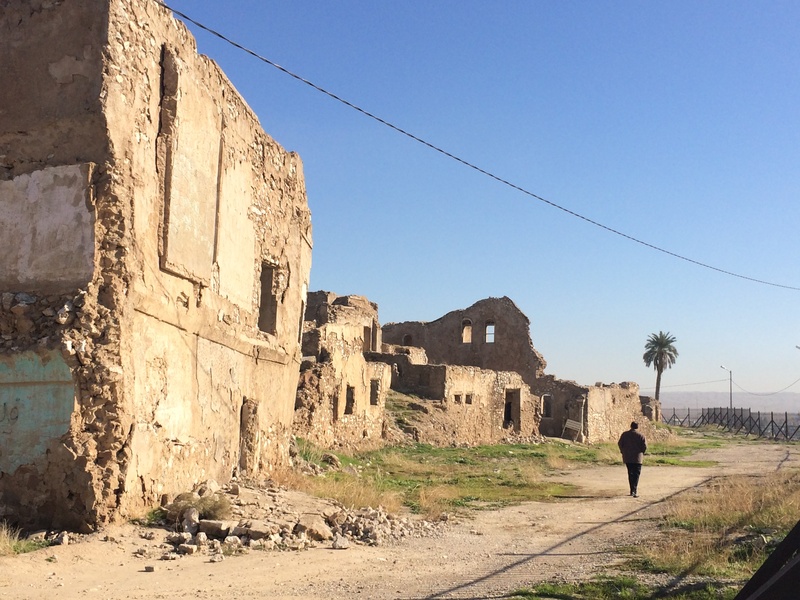 There are plans in the pipeline to restore some parts so watch this space, maybe it will be the next must-see historical tourist destination along with Erbil. Down the hill in the surrounding market place I felt like I’d stepped back in time as we jostled, shoulder to shoulder, with hijab-clad women doing their shopping or looking for a bargain. Food, clothes, household goods, and even animals are found in this bustling, dusty and windy market. It’s very difficult to take photos in public areas, and definitely not allowed if police, officials or army are around, so I had to be careful – frustrating as I would have loved to capture the scenes. It’s also sometimes frowned upon by locals, so I grabbed a few sneaky pics when there were gaps in the crowds. Kirkuk doesn’t have the advantage of international investment and sadly security is still a problem so the knock on effect is that it’s less developed, rundown, tired and faces regular bombings – just a few weeks ago the hospital and shopping mall were attacked which really shook the city. People are surviving in a better environment than in Baghdad, where bombings and violence from militias are destroying neighbourhoods on a daily basis, as bad as it was in 2008, but in Kirkuk, locals still live in anxiety over when and where their next attack will be. Food, glorious food! 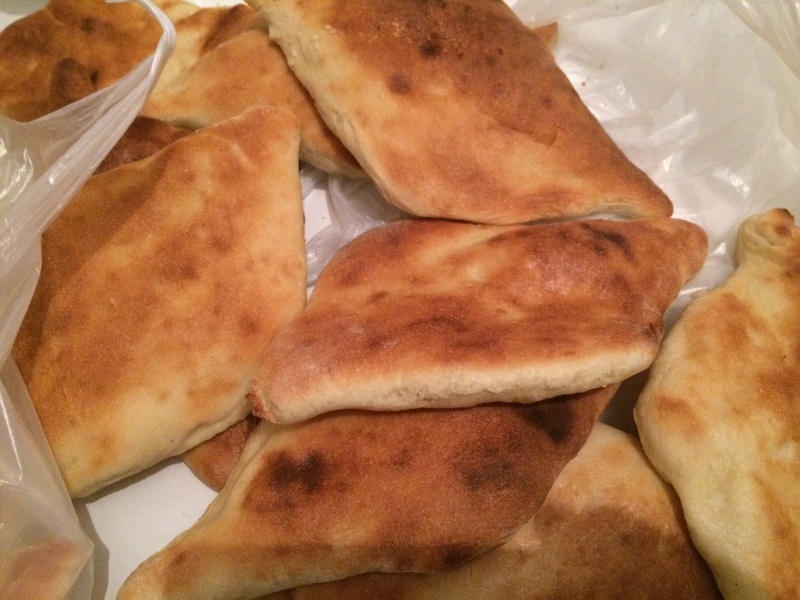 It’s the cornerstone of Iraqi culture (as it is in most of the Middle East and Mediterranean). Our days revolved around meal times, and for local women who are at home looking after the house and children, much of their day is spent preparing and cooking meals. 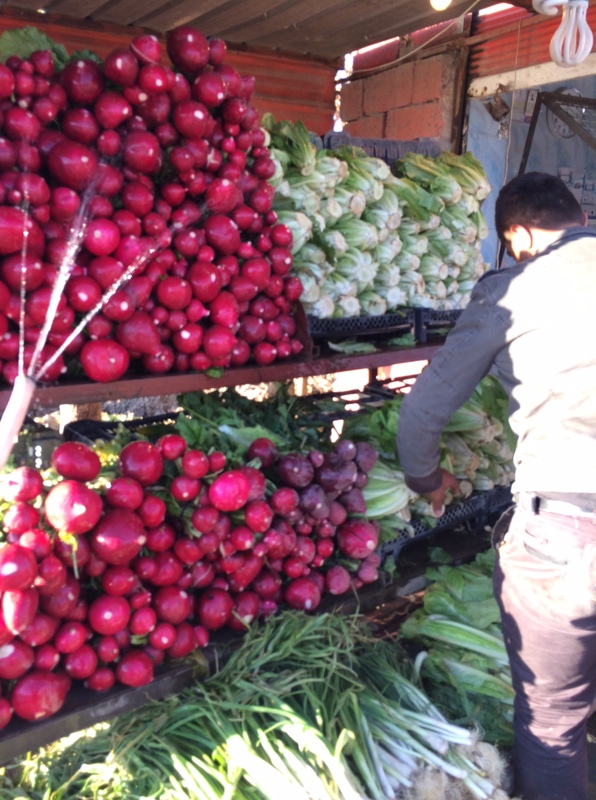 Nearly everything is bought fresh from the market and cooked from scratch – a food lover’s paradise! The concept of being a vegetarian is totally foreign and bewildering to everyone here but the choice and quality of vegetables is vast so it’s more than possible to get round the meat-heavy culture. My relatives and most locals, however, simply couldn’t understand it: how and why could I live without meat? So they offered me fish and chicken instead! Even though standard dishes all involve meat it’s possible to create veggie versions of almost anything. My favourite traditional dishes that are just as great without meat are: Bamya (ladies fingers or okra) and rice; grilled or pan-fried aubergine/egg plant; aubergine and pepper bake; white beans in tomato sauce; pan-fried cauliflower with rice; green beans in tomato sauce; lentil soup, the list goes on. 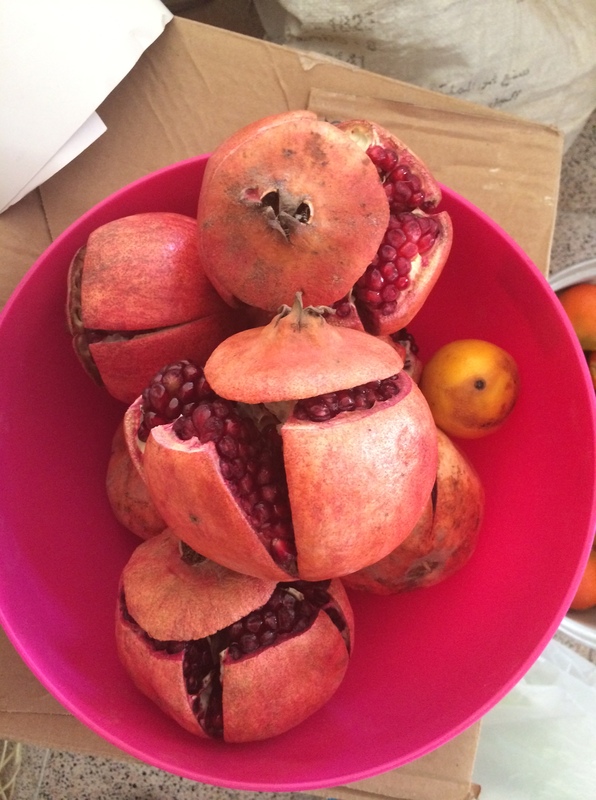 Pomengranates are locally grown and supersized. Lettuce, romaine style is sweeter than I’ve ever tasted, served as whole leaves, stacked high on a plate, as a snack. Eating out was relatively easy too – the stream of mezzas (starter, sharing dishes) that arrive as soon as bums hit seats (no need to order) are all vegetarian, and delicious – usually hummus, aubergine dip (babaghanoush), salads and few other varieties of dips. There’s an amazing walnut and tomato dip that kept appearing which I need to find a recipe for. 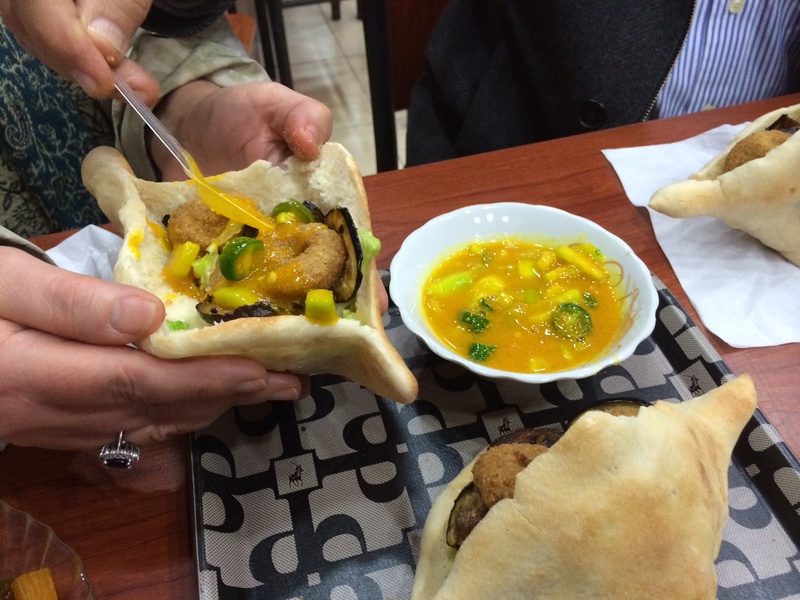 Falafel, which I love, is less than a dollar here served in local take away shops, served in Iraqi bread with salad and fried aubergine – delicious! Life in general has obviously changed for millions of Iraqis over the last few decades. People thought toppling Saddam’s dictatorship would fix the country but far from it. Ten years on and there is still no political or day-to-day security. Author of the renowned blog, Baghdad Burning, penned her thoughts for the anniversary of Iraq’s invasion, this year in her final post, Iraq, Ten Years On. 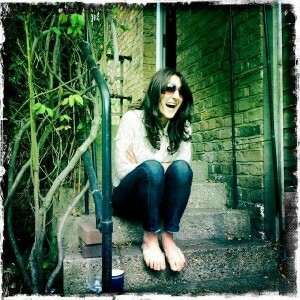 If you’re interested in what the last ten years has been like, please read it! The violence. The violence and friction that never used to exist has torn through everyone’s lives and killed more than a million people in less than ten years. Growing up, my parents lived side by side with all sects of Muslims and Christians but since the invasion, millions have left their homes and families to escape being terrorised and killed. This fighting is nothing to do with people on the ground hating each other – we’ve never known this friction between people before and have never once considered whether someone is Shia or Sinna – this is a new concoction, engineered by powerful political forces, manipulating the political vacuum and masquerading as religious fighting. People have changed too. Religion is a dominant force now, as it is across most of the region, but it hasn’t always been that way. It’s generally assumed that as politics breaks down, religion rises in popularity and that’s certainly what’s happened in Iraq and the mid-east. My parents grew up in the sixties and seventies when religion was considered old fashioned; it was unpopular to wear the hijab (head scarf), let alone anything more covered – mini skirts were all the rage instead! It was deemed to be modern to be secular. Now you can’t walk through Baghdad without wearing a hijab, if not more. Photos of Kirkuk in the 70s for example, show it to be a smart, glossy city with groomed gardens and parks, but years of war and neglect have left it tired and slightly ramshackled. Same with Baghdad, it was once one of the most beautiful cities in the world, and the birth place of modern civilisation. Not any more. 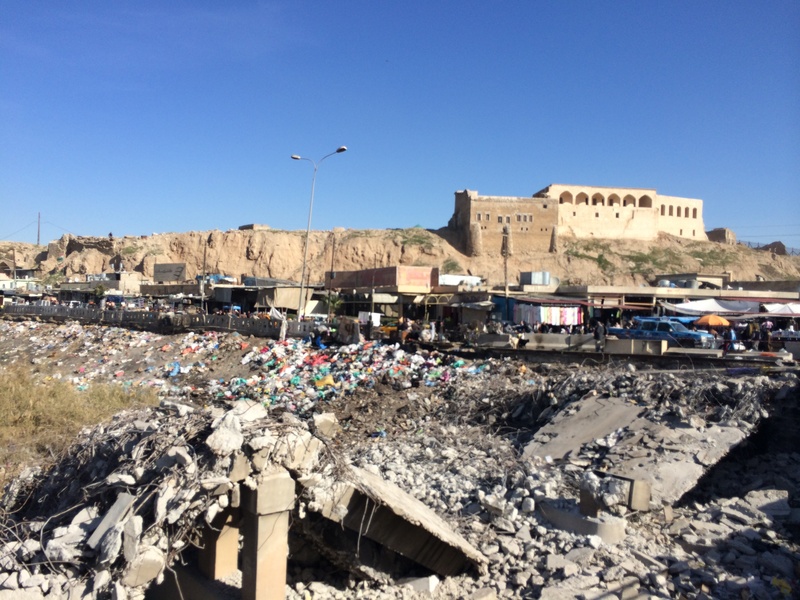 Waste management for example is a huge problem across Iraq, with some streets covered entirely with rubbish and debris. Recycling? Forget it! So much needs to change it seems an impossible task. This, I hope, won’t be my last visit to Iraq. Despite having never lived here I felt totally at home and really comfortable, almost like I belonged. Who knows what the future might hold, but looking forward to more experiences to share!